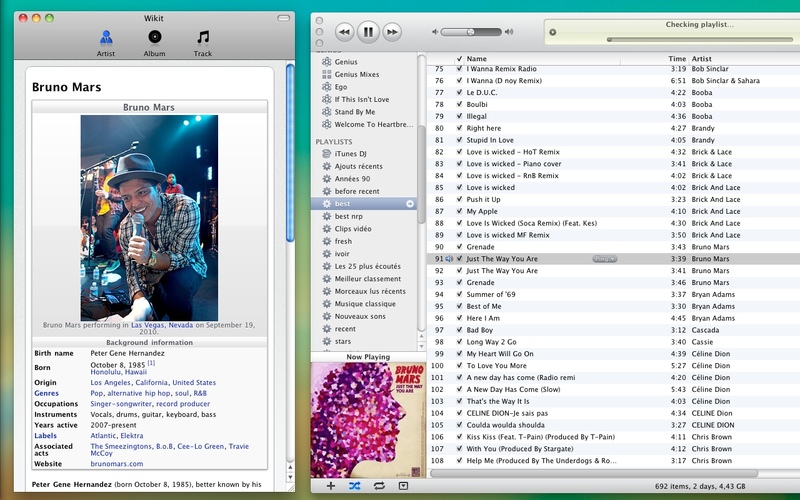 As you play music in iTunes, wikipedias articles about the currently playing artist, album or song is displayed. Discover fun trivia about your music. Wikit detects as your tracks change in iTunes and updates the information automatically. Wikit allows you to read detailed artists' biographies and fun trivia about your songs and albums as you play music in iTunes.